After engineering a taut and intimate war thriller three years ago with Lone Survivor, Mark Wahlberg and director Peter Berg are primed to reunite not once, but twice over the next twelve months for Boston Marathon thriller Patriots Day and Deepwater Horizon. It’s the latter Wahlberg-Berg collaboration that will make shore first this September, documenting the calamitous BP oil spill of 2010 that would go on to spawn a massive political, social and, most importantly, environmental debate that would span for years to come. 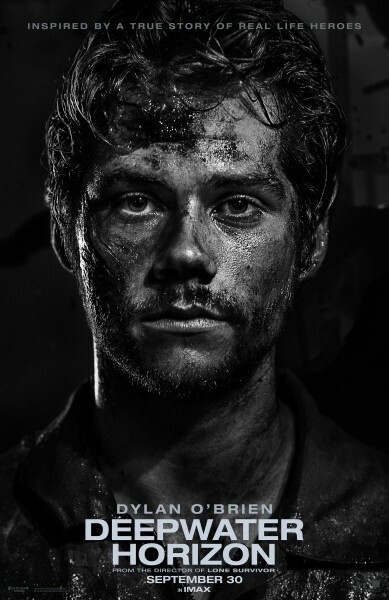 But much like Lone Survivor before it, Deepwater Horizon will place a laser focus on the heroes at the core of the story, and today’s series of grimy character posters for the action-thriller are designed to spotlight the “real life heroes” caught amidst the man-made disaster. Adapting that gruelling tale for the big screen are Matthew Michael Carnahan and Matthew Sand, and we’re intrigued to see how the scribes balance action and character-driven drama. Of course, Wahlberg will anchor much of that plot, but he’ll be rubbing shoulders with Kate Hudson, Kurt Russell, John Malkovich, Dylan O’Brien, and Golden Globe-winner Gina Rodriguez. 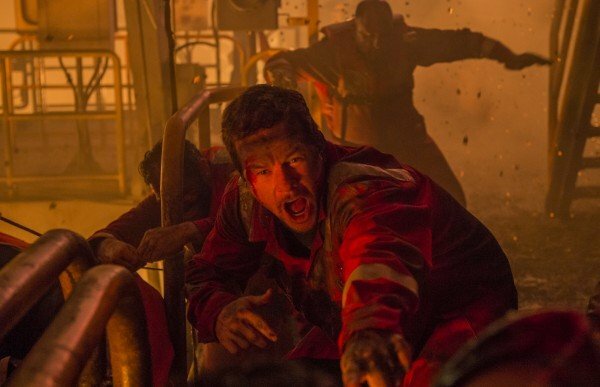 Deepwater Horizon chronicles one of the most devastating man-made environmental disasters of our time when Peter Berg’s thriller docks in theaters on September 30. On April 20th, 2010, the world’s largest man-made disaster occurred on the Deepwater Horizon in the Gulf of Mexico. Directed by Peter Berg (Lone Survivor), this story honors the brave men and women whose heroism would save many on board, and change everyone’s lives forever.